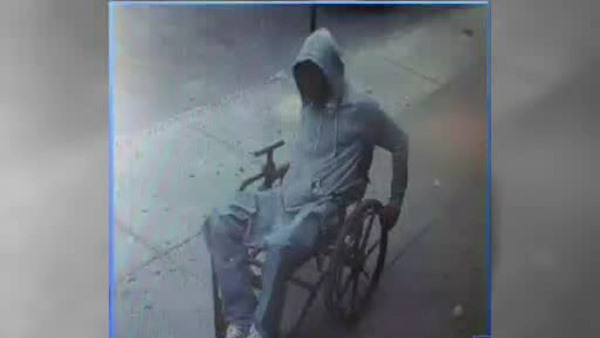 SUNNYSIDE, Queens (WABC) -- The so-called "wheelchair bandit" is under arrest again and accused of robbing another bank. Police say this is the second time in six months that 23-year-old Kelvin Dennison has been arrested for a bank robbery in Queens. They say he robbed a bank in Sunnyside earlier this week, after claiming he was armed with a bomb and a gun. In July, police say he was caught on surveillance after robbing another bank in Sunnyside.